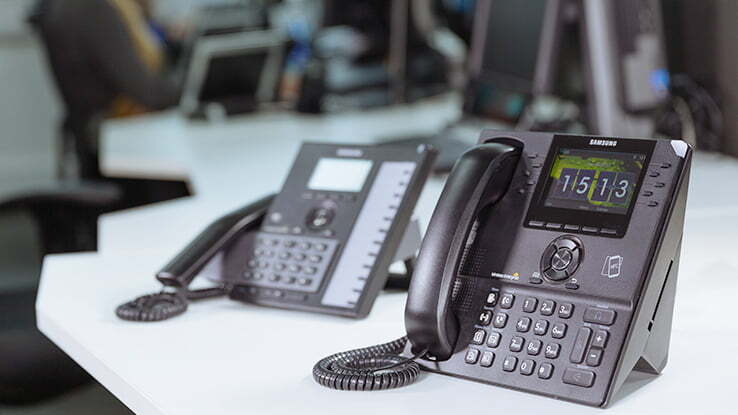 At Midshire, we have a wealth of experience when helping businesses of all sizes choose the right business telephone systems. We can cater for organisations from large multinational corporations to new startup businesses. Are you a new start up and looking for a small business phone system? If the answer to the question is yes, Midshire can provide a range of small business telephone systems to help you communicate with your customers, from day one. Phone systems are becoming the lifeblood of business communications, so it is very important to choose the right small business phone system. In terms of brands, there are a wide variety of small business telephone systems available, however without doing your homework, business managers can struggle to weigh up the pros and cons of each solution. – Do you need a basic small business phone system? – Does your business need a telephone system which is feature rich and has the ability to scale up as your business grows? – Do you need a low cost, cloud based phone system, which offers increased flexibility and is simple to install? At Midshire, we have a wide range of business telephone systems for small businesses which include a plethora of call features. We also offer phone systems with more advanced functionality including CRM integration and call reporting. When looking at a small business phone system, none are more suitable than the Samsung OfficeServ 7000 series. Samsung OfficeServ 7030 and 7100 telephone systems are the ideal telecommunications solutions for start-up companies. The Samsung OfficeServ platform works for organisations with up to 20 employees. With our range of OfficeServ solutions, your business is empowered to make real cost savings on your telephony. The Samsung OfficeServ series is full of sophisticated features and applications, to ensure your business gets the maximum return on its investment. At Midshire, we understand that the majority of businesses overtime experience continued growth and look to employ more staff as they grow. With the Samsung OfficeServ series, the solution is scalable. You can start with a single site and grow the telephone system in line with the needs of your business. As a small business, a Samsung OfficeServ telephone system can offer you the functionality and scalability that a large business employs.